“Hyperloop” a supersonic speed transport of the future! Think about the fifth mode of transport now you can travel a distance of 4500 km from New York to Los Angeles in 45 minutes without leaving the ground. The whimsical billionaire Elon Musk had last month announced via his Twitter account. 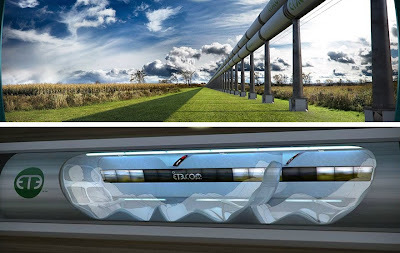 On August 12, he will unveil the details of their proposal for a new revolutionary way of transportation “Hyperloop”. The system should provide the ability to travel at a record speed for minimum cost and minimal energy expenditure. 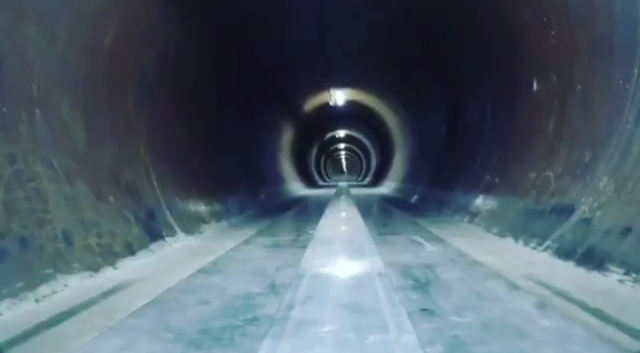 The action plan of Hyperloop will be published on August 12th. Critical feedback for improvement would be appreciated from the technical experts and general public. 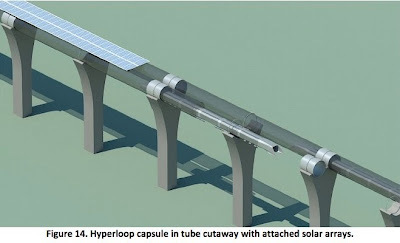 The Hyperloop could resemble the device developed by the American company ET3. ET3 credit the fifth means of transport. The billionaire founder of electric carmaker Tesla Motors and private space exploration company SpaceX, published a 57-page document describing the project, which could connect Los Angeles San Francisco in 35 minutes. 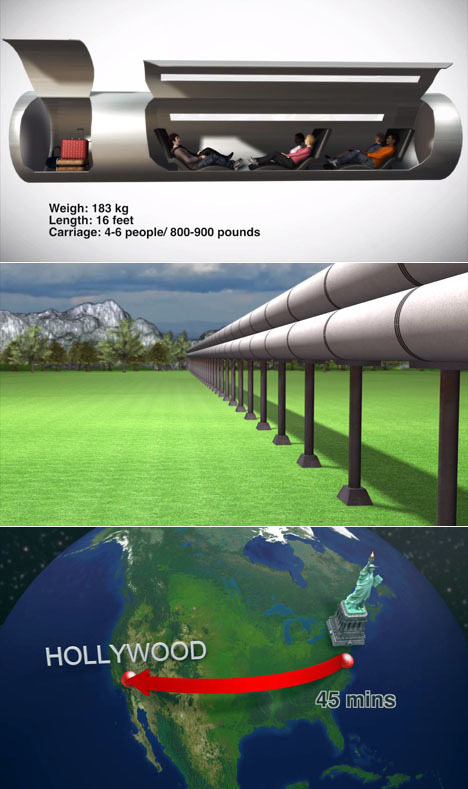 "Hyperloop consists of a low pressure tube with capsules, carried in low and high speeds along the length of the tube" explains the document. "The capsules are placed on pressurized air cushion", it added. 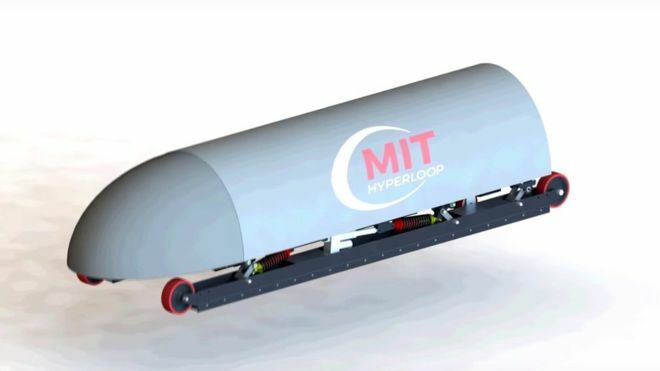 According to Musk, the transport system should be able to reach a speed of 1220 km / h and would be economically viable for any less than 1500 km link. And it is less vulnerable to earthquakes and accidents. 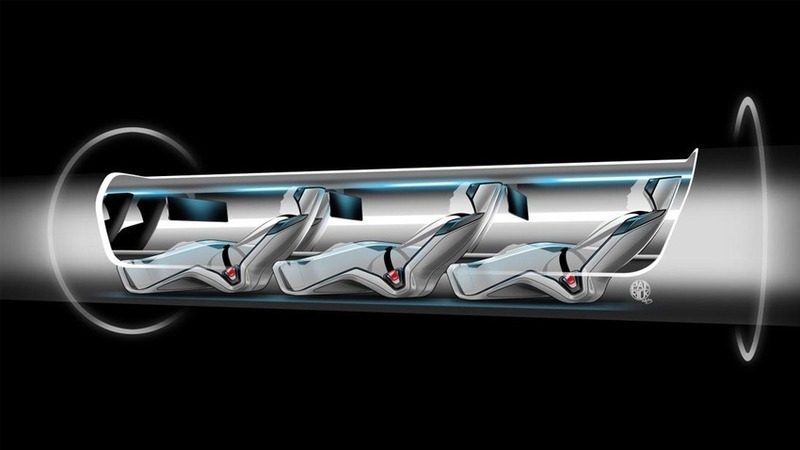 During a conference call Monday, Mr. Musk spoke of "a new form of transportation, different from traditional train that would carry passengers and goods in its capsules in a tube mounted on pylons." "It is designed to be super light, while trains are incredibly heavy. This is more like a plane," he said. The feeling on board would be close to that of "an airplane. That would be sweet, like flying on the air." The billionaires ensure that its system is less vulnerable to earthquakes and less prone to accidents than the train or plane "because it cannot crush or derail." The project will greatly resembles the one imagined by ET3. Musk has repeatedly described the Hyperloop as "halfway between the Concorde, the electric gun and air hockey table”. It is similar with the following working examples; Concorde for speed, the electric gun as an example for propulsion and Air Hockey for travel conditions. Last Monday he unveiled the concept that has been developed by teams from Tesla and SpaceX and is based on technology developed in the two companies. It provides for a version of the electric motors used on the Tesla S model cars, which would create an electromagnetic field to propel the capsule. The system is "halfway between the Concorde, the electric gun and air hockey table" - Elon Musk. The high pressure air between the walls of the inserted tube and the capsule creates a cushion of air with in the capsules allowing moving without friction. 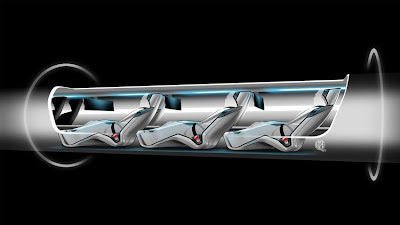 The air in the tube between each capsule prevents possible collisions. Thus eliminating friction force which can slow the vehicle, we are left with travel conditions similar to those found in orbit. Elon Musk therefore wants to start building a prototype capable of connecting Los Angeles to San Francisco in 30 minutes. Either shuttle launched at 1100 km / h. Modest, as already dreaming of trips New York-Los Angeles in 45 minutes or New York to Beijing in 2 hours. Other advantages are Hyperloop would be protected from the weather. No turbulence due to bad weather or stop on the way due to snow or rain and flood. 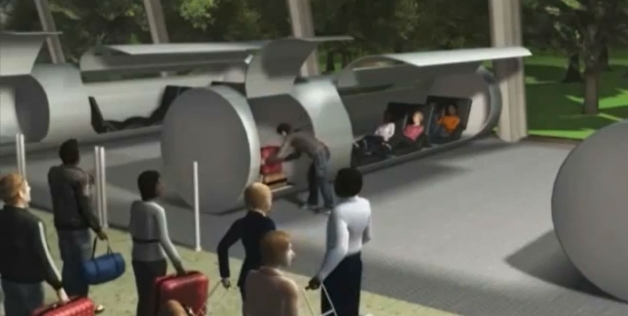 In addition, the capsules are inserted into the tube and powered on demand. That is to say that traveler could leave at any time without imposed schedule as for the train or plane. Musk also said that the main power is generated by solar panels placed directly onto the structure, making the network self-sufficient in energy. Especially they consume very lesser energy. "What we want is a system where there are never any accidents, which is at least two times faster than a plane, which is powered by solar energy, and share as soon as you arrive, so that there is no waiting time nor accurate. “Said Elon Musk in September. Mr. Musk, opposite the high-speed train between Los Angeles and San Francisco - the construction of the first section has been approved by the authorities - believes that the project is much more economical. It estimates the cost of the link between the two cities to 6 billion - against 70-billion for the train - and anticipates the one-way price of $ 20 per passenger which is very cheap. Elon Musk has repeatedly stated that he did not intend to develop the project by them self, but could reconsider their decision, at least in part. "I tried to create at least one demonstrator," he acknowledged Monday. "I'm not trying to make tons of money with it, but I'd like the project and wish to make it into a reality and I think it would help if I was a model."